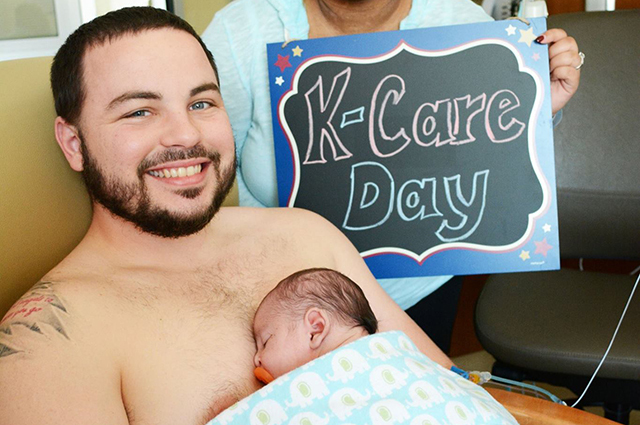 ICU baby was honored to be a part of South Miami Hospital’s to 2016 Kangaroo Care Day to encourage skin-to-skin contact between parents and their NICU newborn. ICU baby donated Kangaroo Kuddlers to all NICU parents to encourage “skin to skin” contact. A Kuddler is a wrap that fits snuggly around parent and baby to ensure safe and secure support during skin-to-skin contact and maximizes the therapeutic benefits of kangaroo care. ICU baby provided lunch and a grand prize basket with baby supplies for the parents who were able to exercise kangaroo care for the longest period of time.